Let us switch to a healthy lifestyle. 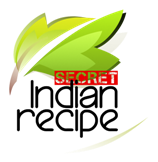 Soak: Red rice for atleast 6 hours, Urad and fenugreek seeds for 1 hour. Grind everything separately and mix it at last with salt. Allow it to ferment for 6hours. Now batter is ready to make dosa. Spread batter in tava and cover it with lid. Healthy red rice dosa is ready to serve.